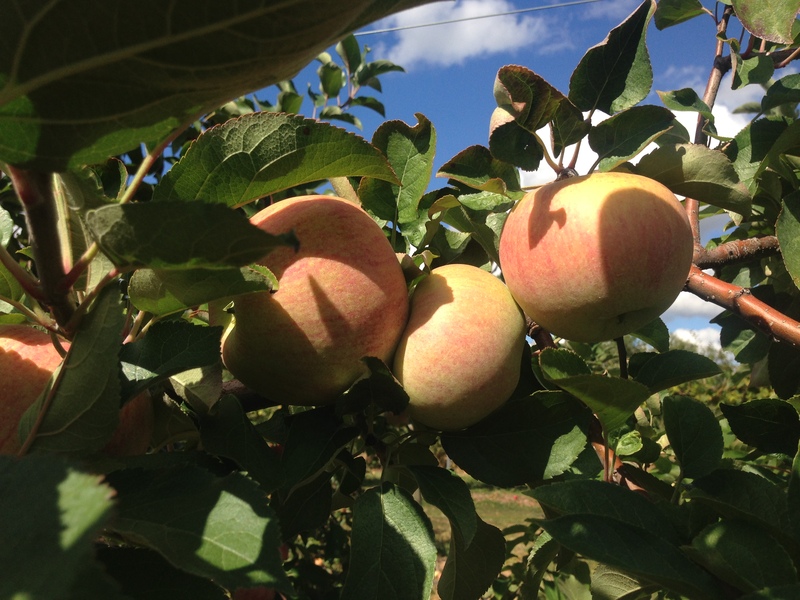 Braeburn, Jonagold, Cameo, Gala, Granny Smith, Pink Lady, Lodi, Jersey Mac, Ambrosia, Fuji – this list goes on. Apple picking is one of the joys of autumn that seems to carry me most willingly into the throes of winter. The idea of curling up with some warm spiced apple cider or starting my day with apple butter on cinnamon bread make the cold ever so slightly more bearable. However, the choices of what variety to pick and and what to make can cause a severe case of analysis-paralysis and even some choice words between friends trying to make their way through a pick-your-own farm. 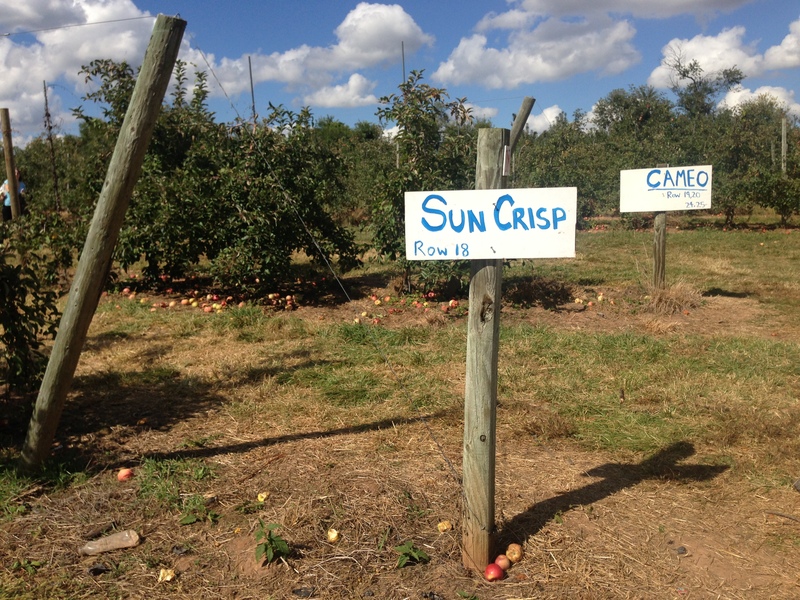 The DC area has plenty of idyllic farms within a short distance that make a perfect day’s outing with orchards, pumpkin patches, prepared foods like candied apples and kettle korn, and even petting zoos. 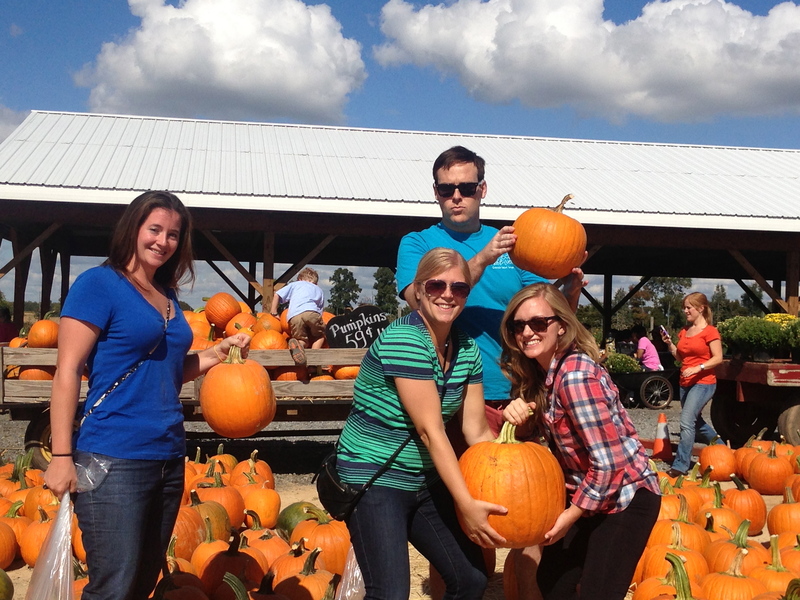 A few friends and I recently went to Homestead Farm for a day of apples, pumpkins, gourds, and fun. 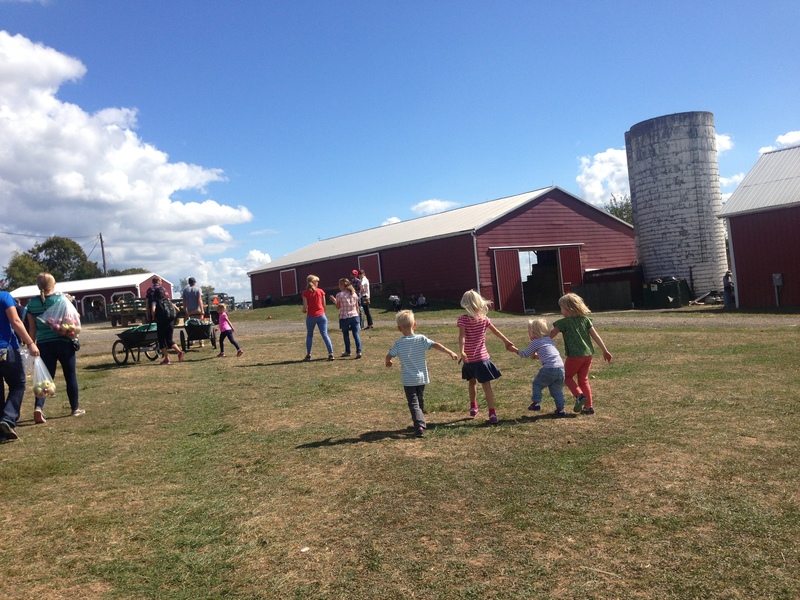 If you are looking for an adventure, I also recommend Larriland Farm as a prime spot. I was pleasantly surprised by this year’s harvest and the great selection. 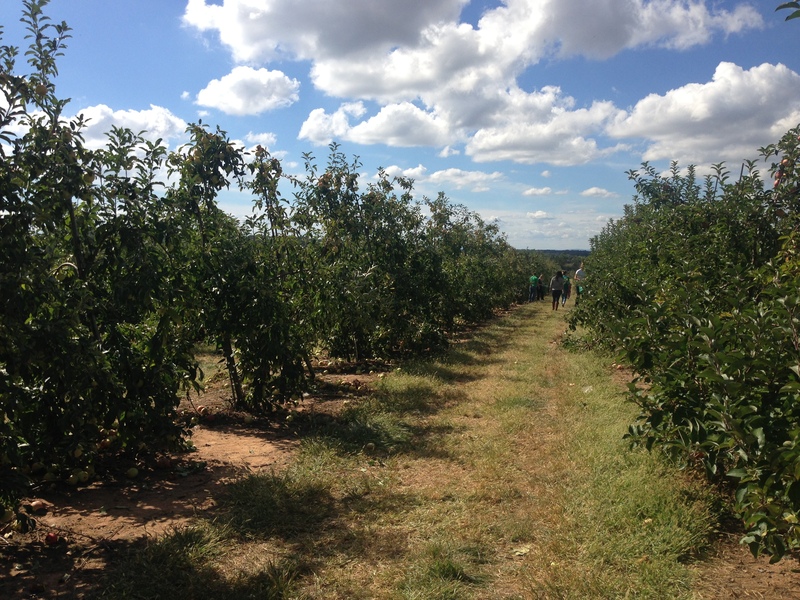 After much deliberation, we worked our way through the orchard rows to Stayman, Jonagold, and Cameo. As you can imagine, more apples had come into my possession than I could possibly eat! 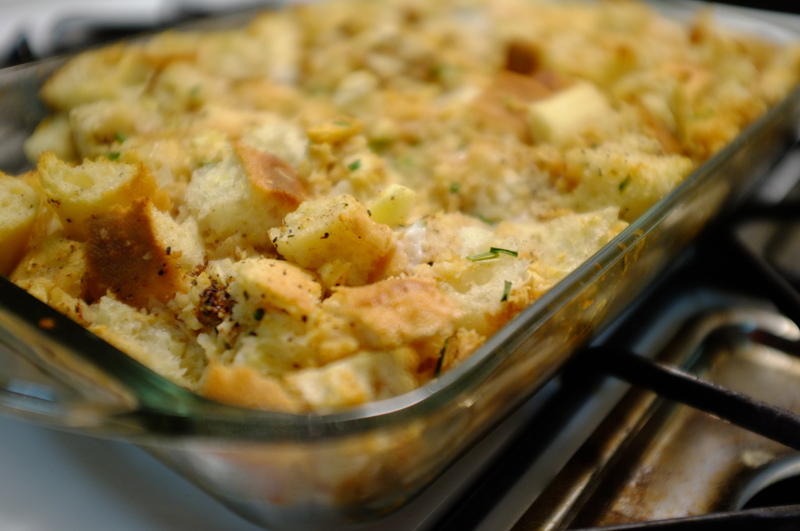 What came out of the oven was a fluffy but moist sweet and savory dish that is perfect for a Thanksgiving spread. 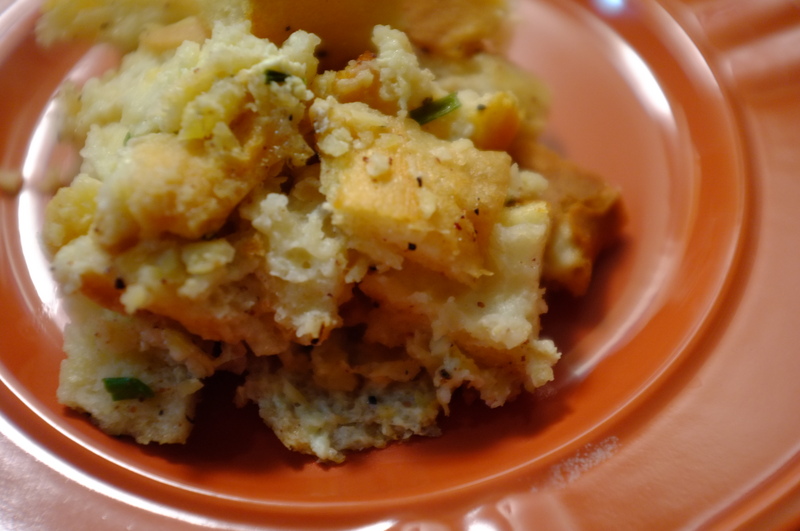 If you are looking for a stuffing alternative, pair this easy dish with turkey and warm cranberry sauce, or better yet, pork chops. It goes best with a sturdy but not too tannic red wine. One I highly recommend is Atteca 2011 Garnacha – at $11 a bottle, it is a steal. 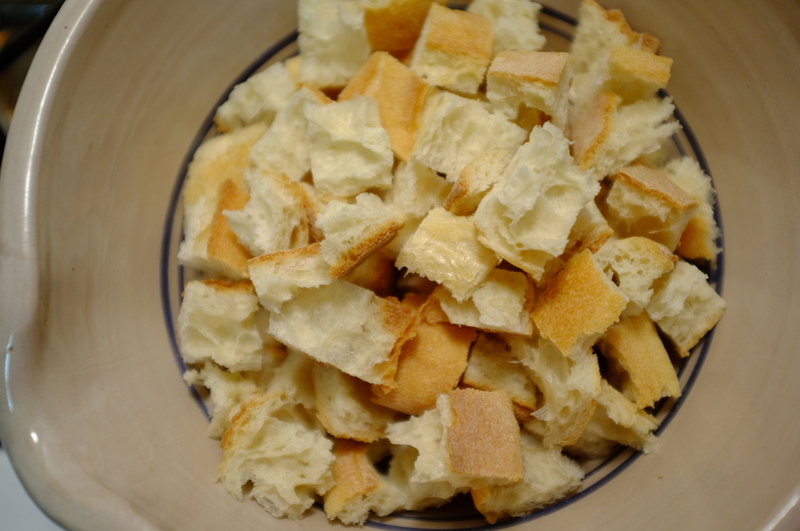 Cut or tear baguette into small 1-inch cubes and spread evenly into a greased 9×13 baking dish. Set aside. On low heat, cook onion (finely chopped) until it is clear in color and nearly carmelized. This will take about 30 minutes. While the onion is cooking, use a food processor to finely chop the apples. In a large bowl, vigorously whisk the eggs and milk together. Add the melted butter, nutmeg, salt and pepper and stir. Then, combine apples, chives, and onions (once cooked and then cooled) to the egg mixture. 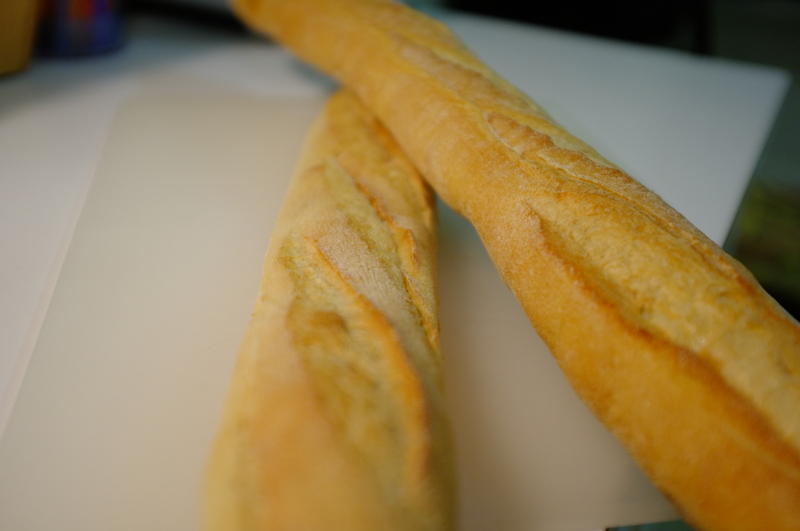 Pour the egg mixture evenly over the baguette in the baking dish. You can choose to do this in layers if desired to spread the onion and apple. 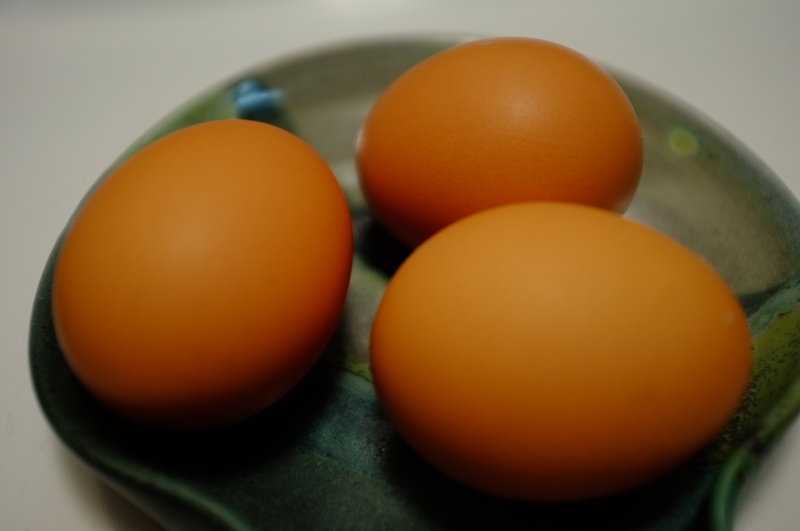 Allow the dish to sit and soak in the egg for at least 20 minutes, or better yet, overnight in the fridge. Bake for approximately 40 minutes. Serve immediately or prepare a day or two early. I’ll just have to make some in late December 🙂 Thanks, Cailin!! Mmm this looks soo good! Thanks, Charisma! If you try out the recipe, let me know what you think!